New Delhi/Washington, July 20 : Foreign and defence ministers of India and the US will hold the first edition of the "2+2" strategic dialogue on security and defense ties in Delhi on September 6, it was announced on Friday. 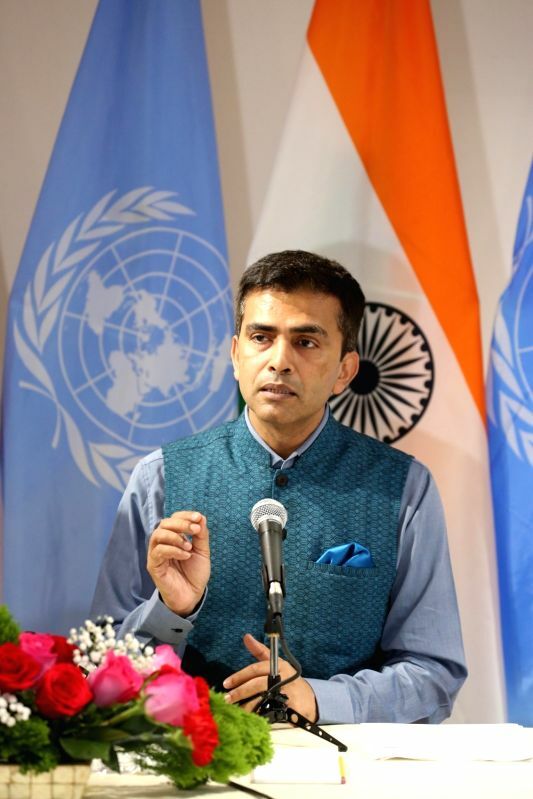 "Minister of External Affairs Sushma Swaraj and Raksha Mantri (Defence Minister) Nirmala Sitharaman will host the US Secretary of State Michael R. Pompeo and US Secretary of Defence James Mattis, in New Delhi on September 6, 2018, for the inaugural 2+2 dialogue," External Affairs Ministry spokesperson Raveesh Kumar said. "This new dialogue format is in pursuit of agreement reached between India and the US during Prime Minister Narendra Modi's visit to Washington D.C. on June 25-26, 2017," Kumar said. "The 2+2 meeting will cover a broad range of bilateral, regional and global issues of shared interest, with a view to strengthening strategic and security ties between the two countries," he added. The twice deferred meeting was earlier scheduled to take place in Washington on July 6. But it had to be put off purportedly because US Secretary of State Mike Pompeo was to travel to North Korea for unscheduled meetings with officials of that country. The first "2+2" meeting was to take place in April. That was also to be hosted by the US but was called off after President Donald Trump suddenly sacked then Secretary of State Rex Tillerson. Also announcing the new date and venue, the US State Department said: "The inaugural US-India 2+2 Dialogue will be held in New Delhi on September 6." It said the two sides will meet "to discuss strengthening strategic, security, and defence cooperation as the US and India jointly address challenges in the Indo-Pacific region and beyond". US Ambassador in New Delhi Ken Juster said the US "look(s) forward to productive discussions between our two countries on ways to strengthen US-India strategic, security, and defense cooperation". The "2+2" dialogue for strategic level talks was agreed between the two sides during Prime Minister Narendra Modi's June 2017 US trip. The new format replaces the Strategic and Commercial Dialogue between the foreign and commerce ministers of the two countries held during the Obama administration. The sudden decision to call off the talks in July triggered speculation that it signalled a lower priority the Trump administration was according to the ties with India. It was also said that the US may not have been happy with India going ahead with its plan to buy military equipment from Russia despite American sanctions targeting Moscow under the Countering America s Adversaries through Sanctions Act (CAATSA). Sources in New Delhi said the two sides in their September 6 meetings will seek finalisation of key defence agreements like the Communications, Compatibility, Security Agreement (COMCASA) -- a defence foundational pact that will enable India to obtain critical, secure and encrypted defence technologies from other countries. The sources said Indian and the US ministers would also discuss developments and issues of mutual interest in Afghanistan, Pakistan and Iran. Russia and China are also expected to come up during the talks. They said India would seek waiver from the CAATSA that can hit Indian military purchases from Russia and also the import of crude oil from Iran which has also been sanctioned. The US sanctions against Russian oligarchs and companies have threatened India's proposed purchase of five regiments of Russian-made S-400 Triumf advanced air defense system, a $5.5 billion military deal almost ready to be signed for a closure. The US has said the CAATSA also prohibits American allies from dealing with sanctioned individuals and companies of Russia, and if New Delhi went ahead with its new military purchases, it would complicate "our ability to work out inter-operability". India's deep military and strategic ties with Russia date back to the beginning of the Cold War even as New Delhi led a movement of "non-aligned" countries that declared their tilt with neither Washington nor Moscow. However, India always leaned toward the then USSR. Defence Minister Sitharaman last week said the CAATSA, essentially a US law, was not binding on India and would therefore not affect India's foreign policy and strategic decisions with other countries.